Dr. Desiree Yazdan is a leading cosmetic dentist in Newport Beach, Orange County who is Passionate about the dental health and aesthetic appeal of her patients. Dr. Yazdan is an expert in cosmetic dentistry taking pride in offering the finest in patient care and services to each and every patient individually. She is determined to give you the smile you’ve always desired. 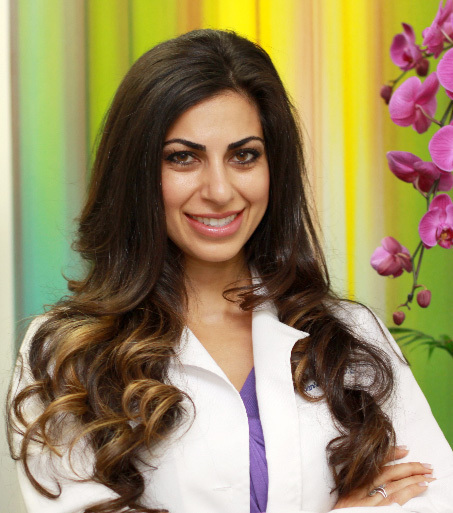 Having completed research on enamel development and receiving her Masters in Craniofacial Biology and Doctor of Dental Surgery from the University of Southern California, Dr. Yazdan?s expert training and professionalism have added to her keen eye for beauty. At the Center for Restorative & Cosmetic Dentistry, Dr. Yazdan utilizes her expertise and passion to create your?smile transformation. When not at the center, Dr. Yazdan is living life to the fullest, from tennis, road racing, skiing, and snowboarding. Dr. Yazdan also unwinds by playing the piano. NEED TO VISIT DR. YAZDAN?